"Ant-Man" starring Paul Rudd is a creative science fiction action film. 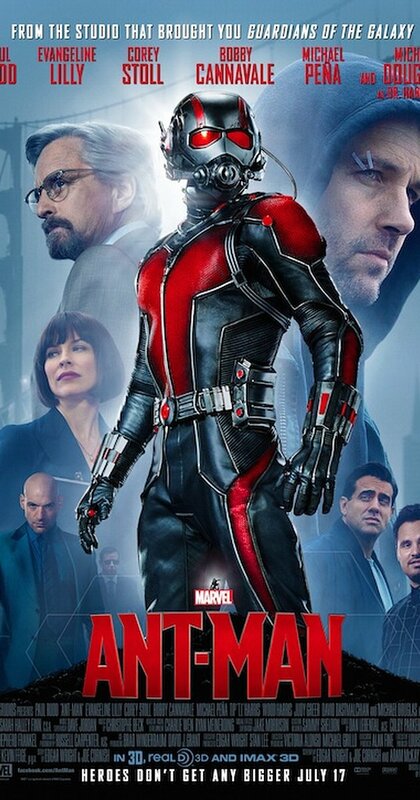 Rudd stars as Ant-Man, an engineer turned thief, who upon his release from prison, seeks to get a job. He finds it difficult to get gainful employment, due to his criminal record. In light of this difficulty to become gainfully employed, he becomes a super hero... "Ant Man." The special EFX on "Ant-Man" are interesting and added to the entertainment value. It keeps viewers engaged while watching the film. "Ant Man" is a big budget film that cost $130,000,000 to make, but the studio certainly recouped and turned a profit. "Ant-Man" is an entertaining and enjoyable film.